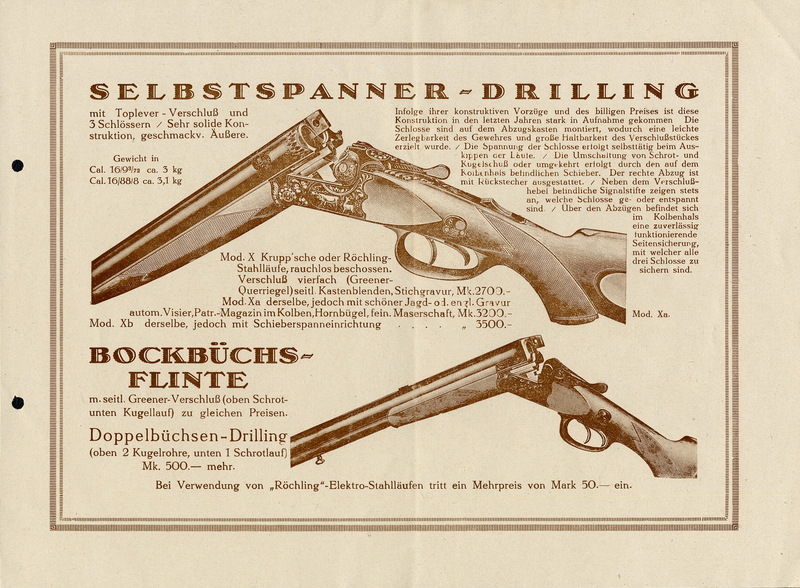 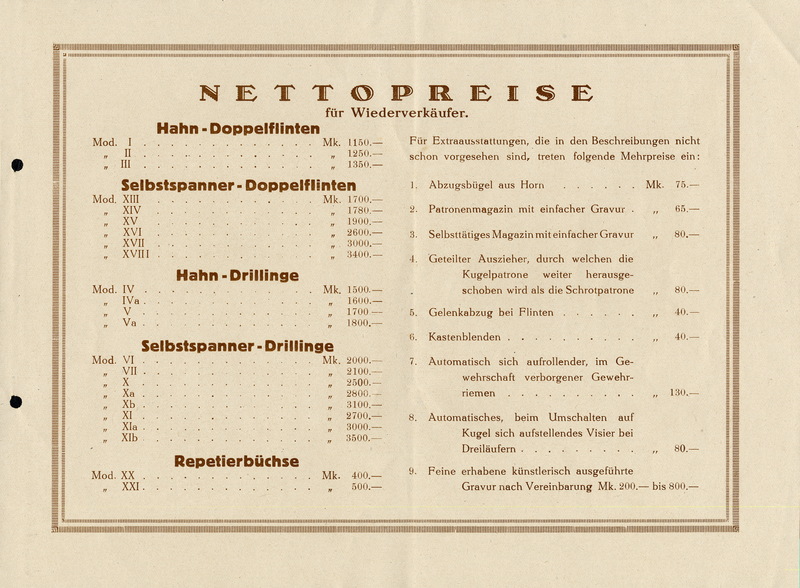 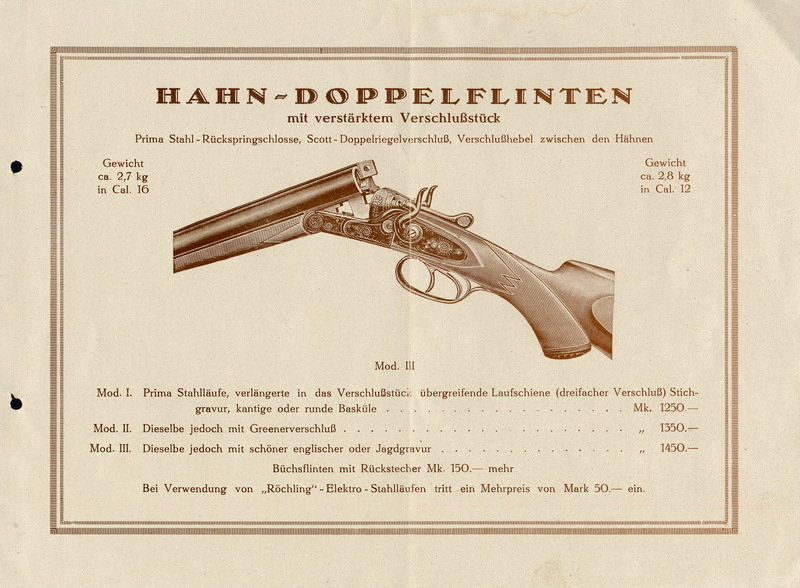 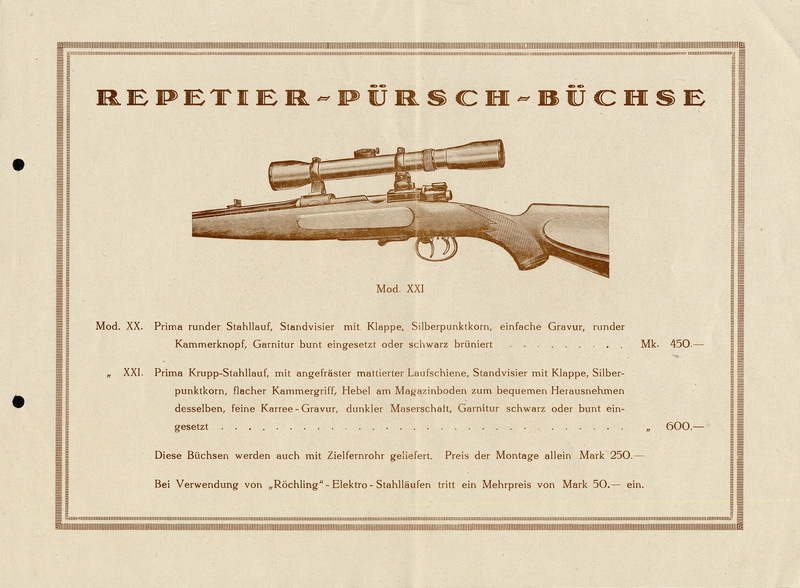 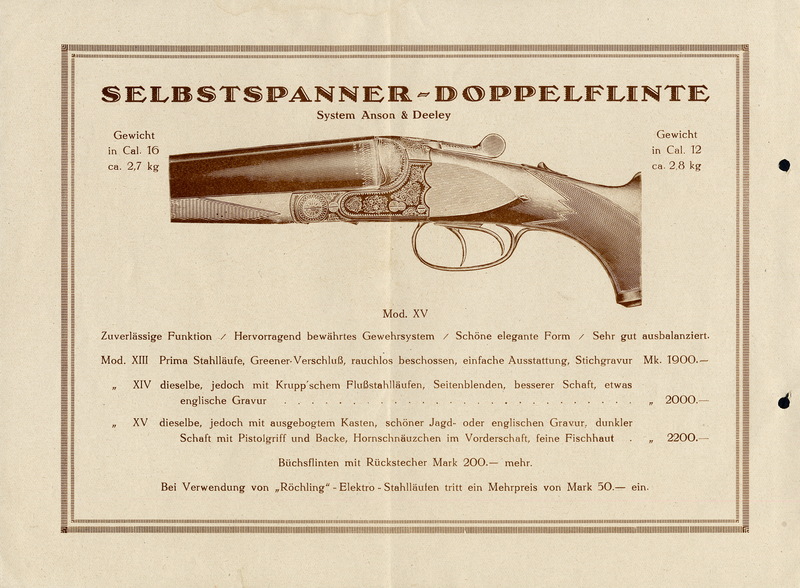 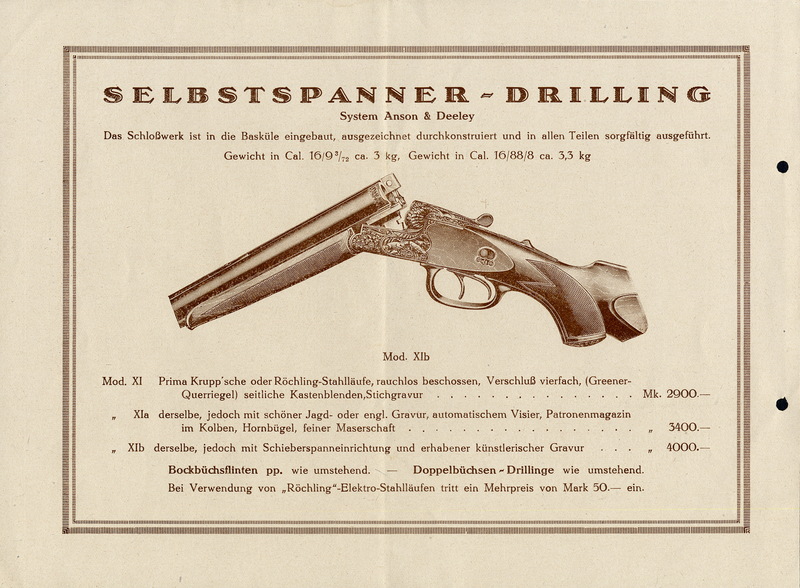 Max Kober was a Gun Maker at Amtmannsweg 28 in Suhl and Jesse Thompson’s Directory of Maker’s & Tradesmen from Vol. 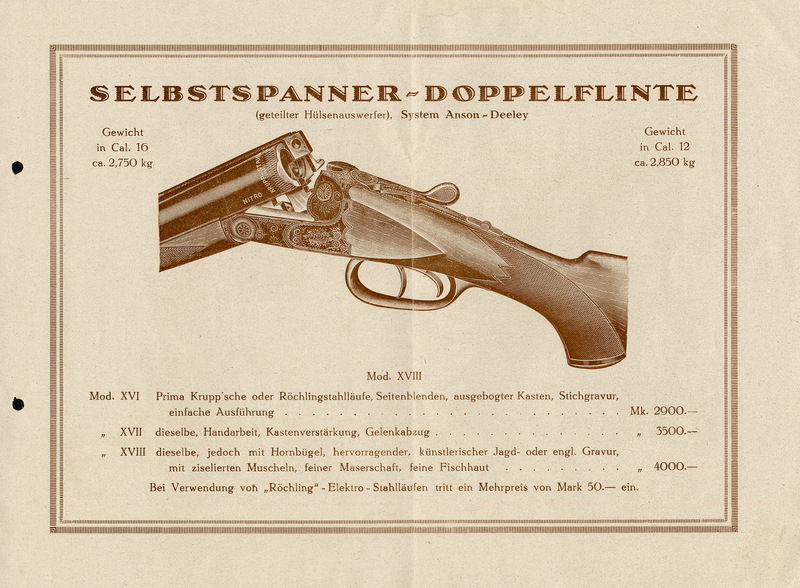 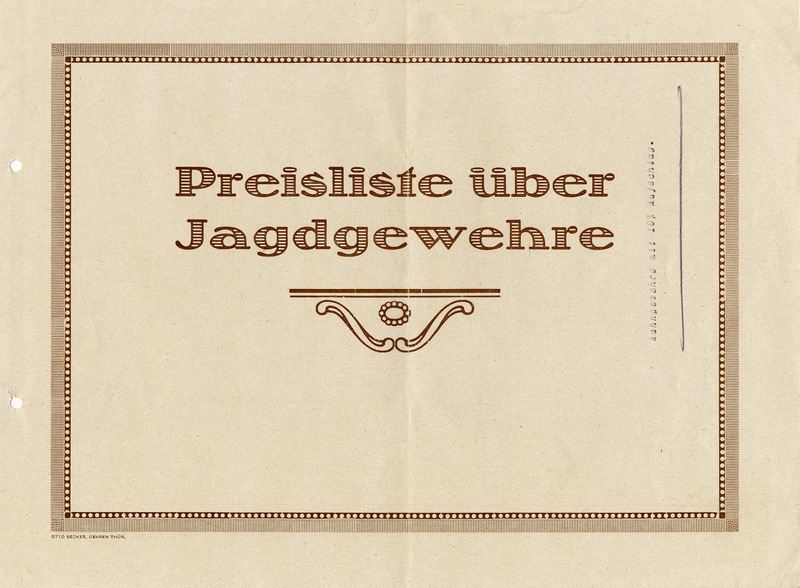 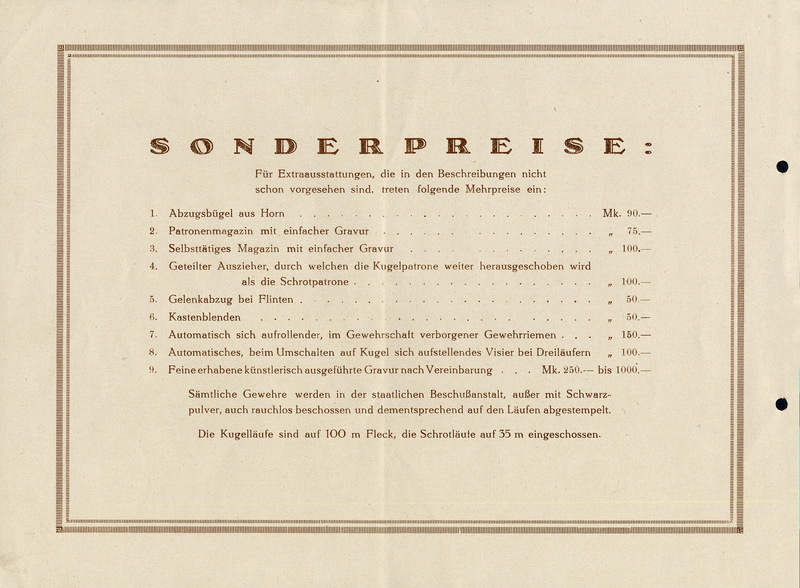 2 of the book Alt Schiebenwaffen states that he was active from around 1925 to 1929 or so. 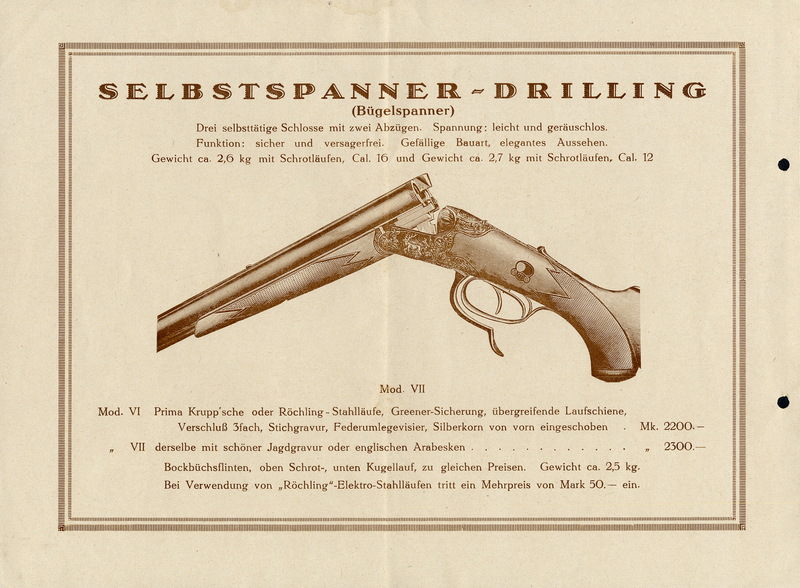 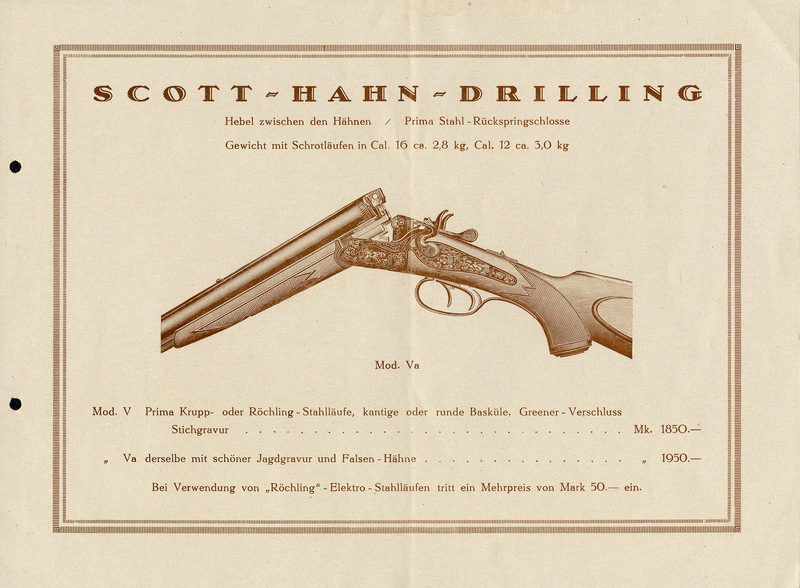 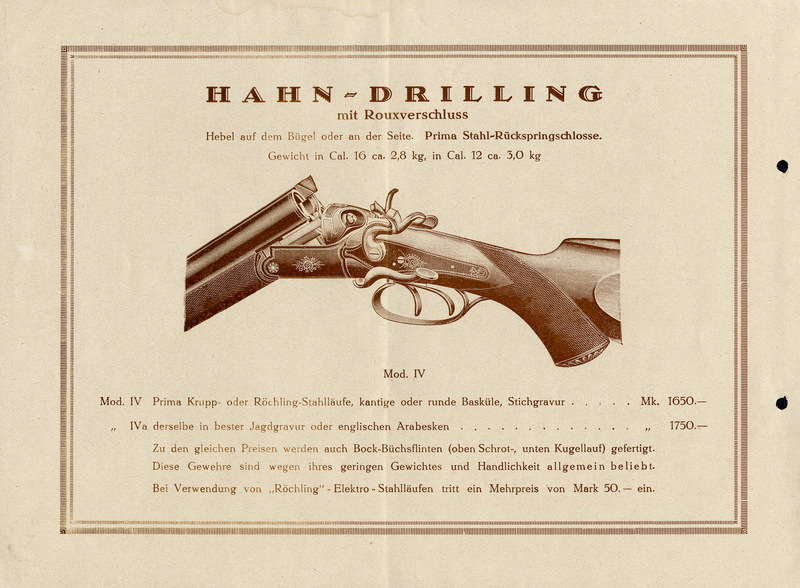 John Walter in his Guns Dictionary notes a drilling made in 1930. 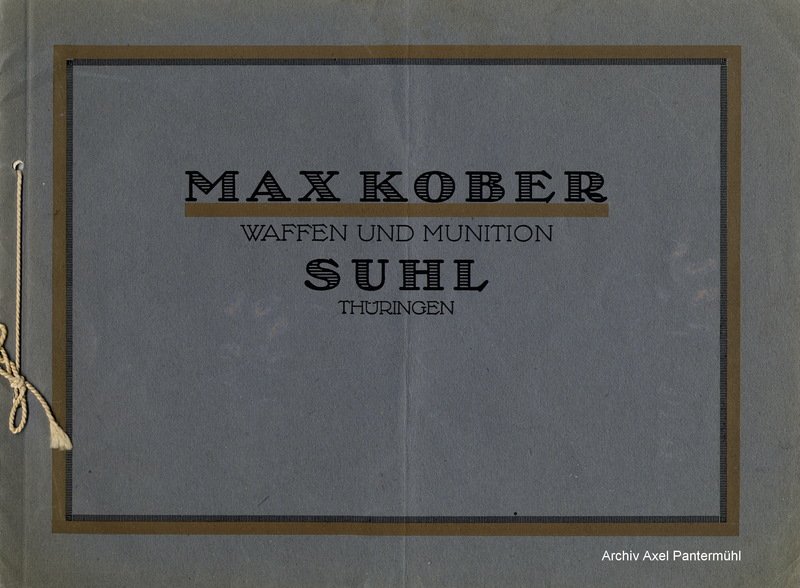 Our good friend Axel Pantermühl in Germany has kindly sent us scans of his undated Max Kober catalog and an image of a hammer drilling with Max Kober’s mark on the bottom of the receiver.